I had a little Uh Oh! moment the morning of this storytime. See, I usually plan all of my storytimes a month in advance. This is partly because I like to be well prepared, but mostly because sometimes the books I want to read for storytime are checked out when I’m planning the storytime. By planning early, I can put a hold on any checked out book that I want to read in storytime, and I get them back before the storytime. This week, I planned on reading Move Over, Rover by Karen Beaumont. It was checked out when I planned the storytime, so I put a request on it. It was supposed to be back by the end of February, but when I got into the storytime room to practice, I realized that it was still checked out (and long overdue)! Instead of pulling a last minute book, I grabbed some bubbles and a CD and decided to have a fun activity at the end of this storytime to make up for being short on books. 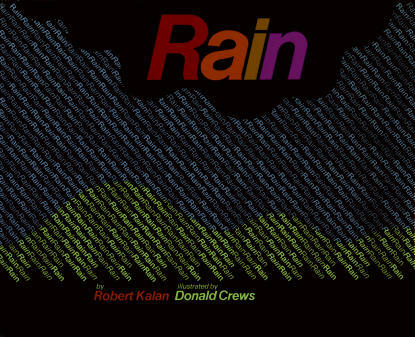 This rhyming picture book invites children to guess which animals like rain. The kids were able to correctly guess duck and frog, but had trouble on some of the other animals. 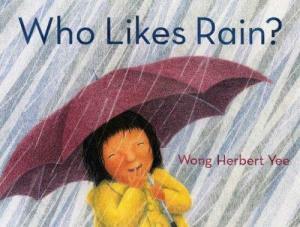 Still, it’s a charming addition to a rainy storytime. I only wish that the book was a bit bigger, size-wise. I found this adorable rhyme over at Storytime Katie. I sang the first Ten Little Umbrellas verse, then stopped and asked the children to count the umbrellas one more time with me. After counting, I told them that umbrellas need rain, so I handed out a rain drop to each of them, brought the flannel board down to the floor, and each child was able to come up and place their rain drop on the board. They really enjoy putting things on the flannel board! This is a very simple, very short book that only has a few words on each page. Usually I reserve these types of books for my younger storytimes, but I just love how the rain in this book is the written word, so I had to use it for my Pre-K storytime. And you know what? It worked amazingly well with this group! The kids liked pointing out the different colors and then telling me what other things were those colors. I would definitely read this with Pre-K kids again, because it’s a great conversation starter! 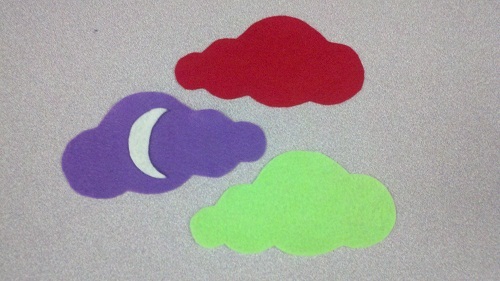 This game is a favorite in storytime, and the kids were especially good at finding the little moon. I had to ask them to close their eyes twice so that I could hide it behind another cloud because they found it so early. 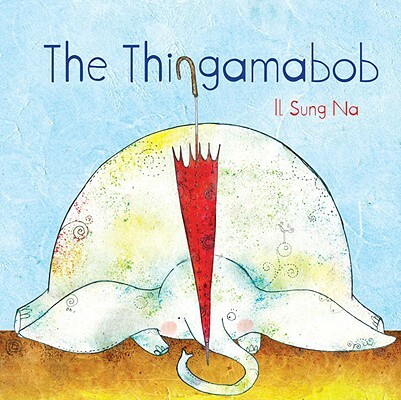 I think I’ve mentioned this already, but I’ll say it again…I love Il Sung Na books! This one worked really, really well with the kids. They thought it was hilarious that the elephant didn’t know what the umbrella was, and the illustration of the big elephant trying to hide behind the little umbrella had them in giggles! Bubbles are a big hit with my toddlers, but I’ve only used them once with my Pre-K crowd a long, long time ago. I think I should use more bubbles with this age group, because they had a blast. I told them that since I couldn’t make it rain rain drops inside, it would rain bubbles instead. I turned on some music and let them have at it. Since this week was Spring Break week for Texas, I had a few older kids in this storytime, and they were a bit overzealous with the bubble popping, so I had to ask them to sit out for a minute and let the younger kids pop some. The bubbles were the biggest hit for this storytime, though I think the children really enjoyed all of our books and extension activities. I was pleasantly surprised at how well some of the books worked with this age group, and I would definitely do this theme again (hopefully on an actual rainy day…we don’t get many of those in my part of Texas). Where did you find those adorable umbrellas? 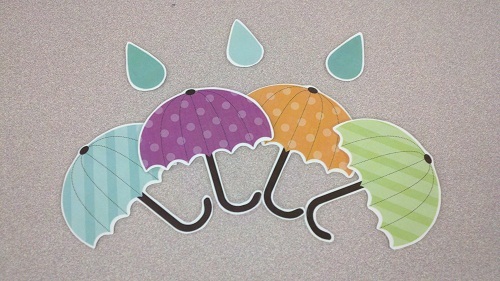 I did a google images search for umbrella clip art. I just did the search again, and I’m having trouble finding the exact same umbrellas that I used, but there are still lots of other cute umbrellas to choose from.